EDH: Can exquisite archangel save you from losing a game due to commander damage? 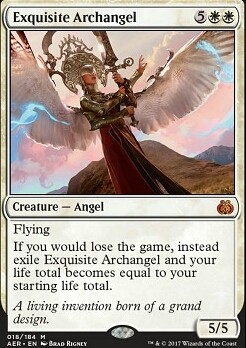 If you would lose the game, instead exile Equisite Archangel and your life total becomes equal to your starting life total. Yeah together we have both progressed our decks extremely far! 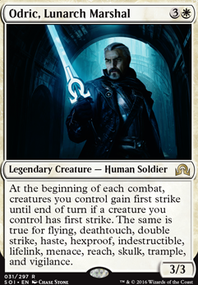 Ironically he is running a black deck, and he has also finally taken full advantage of sacrifices, card/card removal, life gain drain and now so how Eldrazi. After recently play testing my deck a couple times I completely agree with you about Archangel's Light. It doesn't make sense for me because I'm always "praying" for the next big bomb or the right card on my card draw. The sideboard for me at the moment is basically cards I can't decide if I should add or not but still consider to be an extremely good for this deck. Hence why I'm here for advice! So the thing about Lumbering Battlement is I consider it to be a protection card from me. 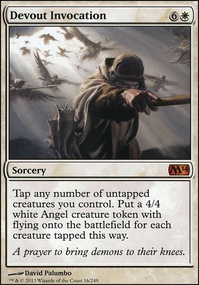 I use it like I would use Faith's Reward or Sudden Disappearance , expect if no one tries to attack me after that then I get a free swing in before board wiping and yet simultaneously getting all my creatures back. 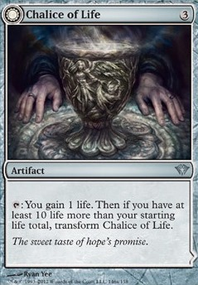 Helm of host I have mixed feeling on that because it has actually won games for me. Depending on who I equip it to, like Lyra Dawnbringer which just makes all angels stronger for every time it creates a token or Exquisite Archangel I can sacrifice a token instead of the original angel, Angelic Skirmisher for the first strike and vigilance, Aegis Angel granting all angels close to indestructible or even artifacts, Angel of Serenity can basically exile my whole graveyard or opponents field. I see your point about it being a nine cost but in tell my friends get smart about trying to destroy it might as well keep it. Angelheart Vial Single handily made me win game but I agree it will also go in exchange for Pristine Talisman . I will defiantly try out Mana Tithe again sadly I just haven't used in game but I'm sure you are not wrong about its use! Thank you heyzeus_ for fallowing my updates! Your support has really helped me shaped this deck into what it is today! I got my first copy on this deck so it's made me extremely happy and proud, just can't believe how much I've put into this deck though... but it has been worth it and of course I will continue to make it better. What are your thoughts on Ugin's Nexus considering I board-wipe and get ride of artifacts. NuMetal on Thats alot of (double) Damage!! i know its a casual deck but you have way too high of mana cost in everything, for one Dark Depths is not meant in this kind of deck if you dont have a way to cheat his counters or have the mana to take them out, as well as Sigil of the Empty Throne you dont have enough enchantments, might as well take them all out. Tempest Djinn, Angel of Jubilation, Yosei, the Morning Star, Exquisite Archangel, Goliath Sphinx, Ornithopter, Rustwing Falcon, Serra Ascendant, Azorius First-Wing, Resplendent Angel are either to expensive, you dont have a reliable source to use they'r abilities or are simply underwhelming. for lowering the mana cost i suggest Warden of Evos Isle. 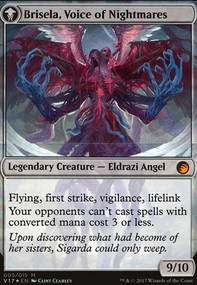 you can replace Serra Aviary for Favorable Winds, for counters Spellstutter Sprite, Nimble Obstructionist, Spell Queller,Siren Stormtamer and probably not very good if its not a fast pace deck (storm) Erayo, Soratami Ascendant. Hope of Ghirapur and Selfless Spirit are good protection, Vendilion Clique and Gilded Drake some good control. Palace Familiar, Owl Familiar net you some card draw and Illusory Angel, Sky Spirit seem ok. i didnt go in to much noncreature spells and i lck sleep so i hope i was helpful. As a fellow Angel lover (you can see my angel tribal & taxes deck here ), I think you run many angels that are simply not good enough. Angel of Retribution, Radiant, Archangel is too fragile to mass removal, Seraph of Dawn, Seraph of the Suns, Shepherd of the Lost, Requiem Angel, Angelic Field Marshal is useless if you don't have your commander out, and if you have it you really don't need that much having viligance on all your creatures when a lot of them already have it, Exquisite Archangel (if you want this kind of effect I would prefer Resolute Archangel, that does it whenever you want), Herald of War I think is too slow, all of those I think cost too much for what they do, even Radiant, because she is too vulnerable against mass removal, although you could argue that she is good enough, I don't like her that much. I also think some of them like Silver Seraph or Shattered Angel could be removed but I'm fearing that I am going to cut too much and you will end up with less than 100 cards. Also, I'd suggest removing Iona, as hard as it is for me to say, but when my opponents stole it from me for the third time and named white I finally decided is too risky to run her in a monocolored deck. I also think you are running some inefficient lifegain. 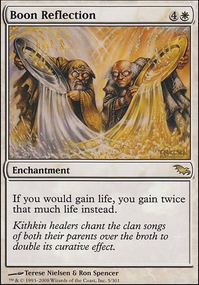 Chaplain's Blessing is too weak, you could instead run cards like Blessed Alliance that are far more versatile, or Solemn Offering to mix targeted removal with life gain. Rest for the Weary, Sun Droplet, those ones I think are too ineficient. Finally, some of the artifacts you run are to make your creatures able to evade more, but I don't think it is necessary when all of them already fly and are enormous, so I would cut Trailblazer's Boots and Prowler's Helm. I don't think Whispersilk Cloak is that good taking into account how many enchantments and abilities you have that target your creatures, and Sunbeam Spellbomb isn't good enough if you are not running some kind of graveyard recursion. Finally, I would cut many of the cards you use to buff up your angels. They are already big, you don't need too many +1/+1 effects when you are always casting 5/5s, 6/6s and 7/7s. That would make Silver Seraph, Path of Bravery, Honor of the Pure, Dictate of Heliod and Light from Within cuttable. Have you thought about adding Approach of the Second Sun? It's a nice alternate win condition that makes you gain life. 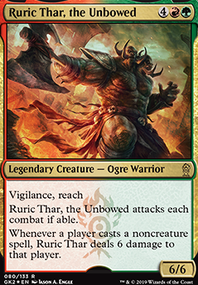 I'd also think about including the OG Ajani Goldmane, it was made specifically about lifegain. But ya, you should totally build Angel Tribal! I am thoroughly enjoying this deck so far. Maybe Guardian Seraph? They are both defensive creatures but in my experience Exquisite Archangel is a must-answer card that has greater impact on your life total. Alternatively, maybe Angel of Glory's Rise? How often are you bringing back humans from your graveyard and are they worth it? 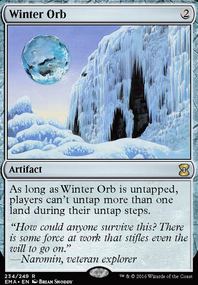 It's also the same mana cost so you wouldn't be adding to your curve by swapping. I think I may have to build an Angel tribal deck after seeing this list! The cards are powerful, have gorgeous art, and they can pack a punch! Thanks for the feedback! I am surprised with how well this deck has performed so far considering the budget I am working with. Anyways, I considered adding Exquisite Archangel but my problem right now is figuring out which cards to cut. I am considering cutting a Plains or two for some substitution, other than that, I am at a lost. Do you have any suggestions?